Continuing the trend of the previous posts I, Vlad, will also give you a little more insight into our progress since the PDR. I shall provide you with some quick information manly about our parachute choice and the design of our Rx specific unit (SU). After a thorough analysis and a few debates we finally managed to decide on a parachute shape, size and colour in order for our free falling units to be able to land safely. 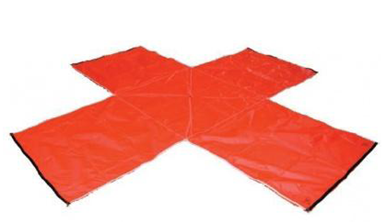 A cross shaped, 48”, X-type, neon orange parachute will be used (see picture). Furthermore we are currently investigating the most probable landing area to make sure we don’t end up outside the Esrange safe zone. Now let us have a quick glance at the functionality and design of the RxSU. In the picture below you can see the main components of the unit. The whole idea behind the design concept was that the RxSU must spin freely relative to the Rx Common Uunit (which will be mounted on top with the help of the “Long screw”). We need it to perform this spinning in order for it to point and track our other free falling unit, namely the ISAAC – Tx. If the tracking bit of the experiment work, the IR spectroscopy of the CO2 will follow; it’s as simple as that! The casing, so to speak, consists of the Rx case, in which the stepper motors and the optical system will be situated, and the Rx lid, which has been conveniently cut as to facilitate access and last minute tweaking. 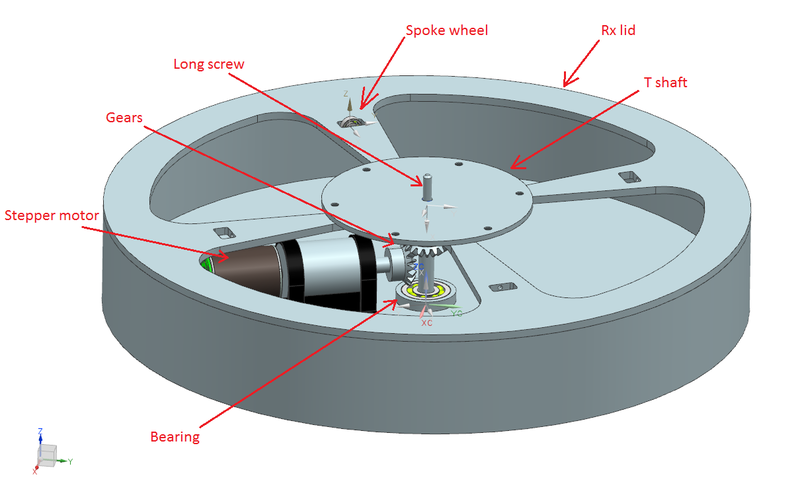 The spokes of the Rx lid will have tiny bearings (secretly posing as spoke wheels) to ascertain that the bottom of the CU case will not touch the Rx lid and generate unwanted friction, thus slowing down the rotation of the whole unit. 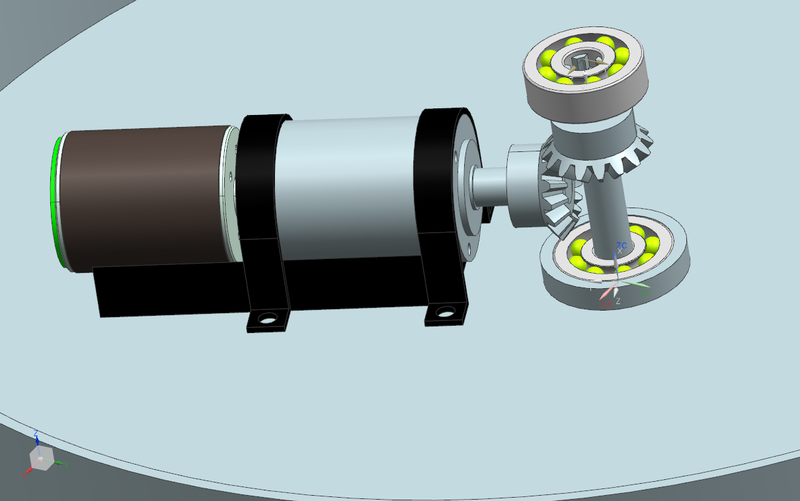 Currently only one stepper motor, and the gear and bearings assembly are included in the CAD drawing with the rest to come in the following days. A close-up of the motor and the assemblies can be seen below. These will allow the RxSU to freely rotate in relation to the CU. stepper motor, gear and bearings assembly. And just to make it easier to picture and scale, the height and diameter of the whole unit are 5 cm and 24.5 cm respectively…we’re dealing with a pretty flat, stretched and hollow cylinder.